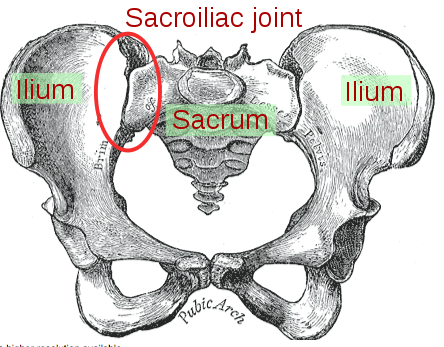 The sacroiliac joints are located next to the spine and connect the lower portion of the spine, the sacrum (sometimes called the tailbone), to the pelvis. Sacroiliac joint injections, also called blocks, are used to test for and treat low back pain and sciatic nerve pain. What Are the Major Indicators for Having Sacroiliac Joint Injections? Candidates for sacroiliac joint injects are those with chronic low back pain or chronic sciatic pain. Twelve to twenty five percent of low back pain actually results from an SI joint problem. An SI injection can actually help diagnose whether that is a source of back pain. What Do Sacroiliac Joint Injections Entail? The procedure takes only a few minutes and is done while the patient lies on their stomach using fluoroscopy to guide the injection. The procedure is usually done only with a local anesthesia. The patient is given a steroid injection that works by reducing inflammation. You may feel some soreness for a day or two after the injection and will feel pain relief within one to three days. 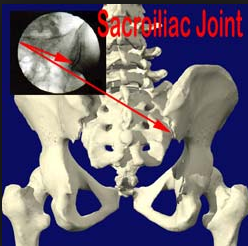 The effects of the sacroiliac joint injections can last for a few months. Injections are repeated every few months, as long as the patient responds well to the initial injection treatment. What to Expect When Having Sacroiliac Joint Injections? There may be muscle soreness in the muscle area around the injection site for a day or two following the procedure, and relief from chronic low back pain and/or buttock pain within one to three days. Relief may last for a few weeks to months. It is not a permanent treatment, so it is repeated as necessary, depending on how well you respond and how long your pain relief lasts. A new alternative for SI joint pain that responds well to an injection is a radiofrequency ablation. What Are the Risks of Having Sacroiliac Joint Injections? The procedure is considered to be generally safe, though there may be some initial pain at the injection site. Rare side effects due to complications may include bleeding due to the needle hitting small blood vessels nearby, damage to nearby nerves, infection, or worsening of symptoms. What Are the Benefits of Having Sacroiliac Joint Injections? These injections are very successful by and large. Since the risk profile is so minimal, the procedure has pain relief well over 50%. Most patients obtain excellent relief with SI joint injections. Seattle Pain Relief offers all types of joint injections with a Board Certified Seattle pain management physician.